After a great (but shorter than expected) performance at the JZ festival last weekend, Jay and ChaCha are busy getting ready for the big show this Friday at Shelter. To give you a little preview of the album they have uploaded 2 new tracks to their soundcloud, Ge Zhong Ren and Lies, and are giving them away for free download until the album launch this friday. You may have heard Lies from their split 12″ with Tussle earlier in the year as well as their performances at JZ club and Shelter, but ‘Ge Zhong Ren’ is previously unreleased and was premiered at the JZ festival last weekend. Both tracks feature on the new album and will be performed in full this Friday at Shelter. Enjoy!! 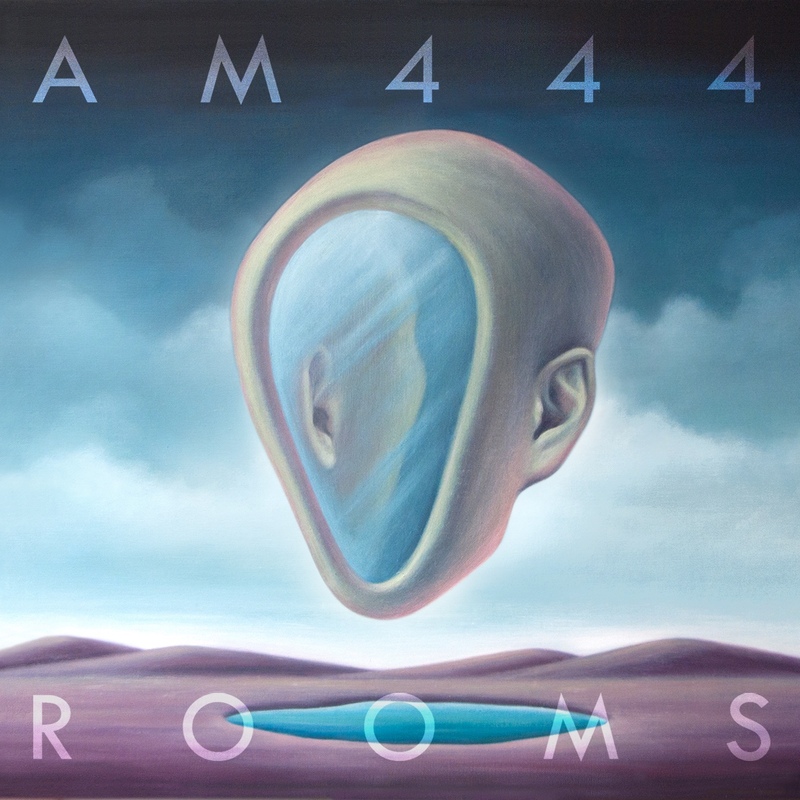 Today we are very excited to unveil the beautiful new artwork for AM444’s upcoming album ‘Rooms’ by Nini Sum. Nini, who also designed AM444’s first release ‘Eye Wonder’, has spent the last month making something very special for this release, and we are stunned by the final results. The cover (above) is a large scale oil painting and will also be part of Nini’s first solo exhibition in HongKong at the Identity Art Gallery which opens on the 25th October. This Saturday at the Sub-Culture event at The Shelter we will also have a special pre-listening session for ‘Rooms’. At 10pm we will be playing the whole album, in full, for the very first time. If you can’t wait to hear what Jay.Soul and ChaCha have been working so hard on these last 6 months, get down early to Shelter and be the first in town to hear it! More details on this coming very soon. Achun – On The Other Side – Released this Saturday!! 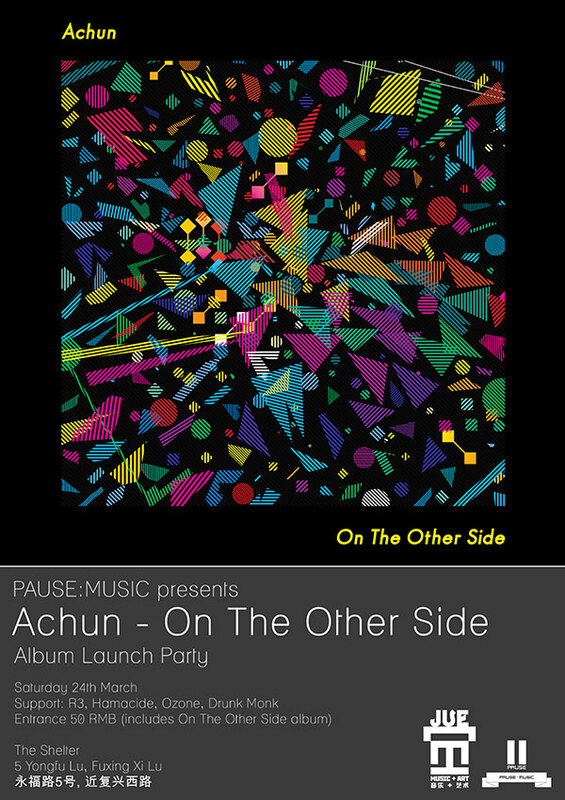 PAUSE:MUSIC are proud to announce their 5th full release, an album entitled ‘On The Other Side’ by Macau’s ACHUN! 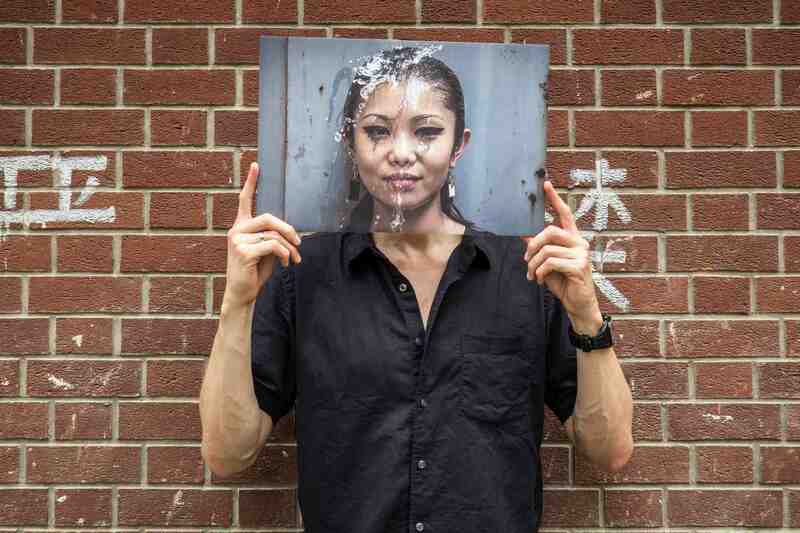 Macau electronic musician Achun’s debut album, “On The Other Side”, is a documentation of the impact on him of various influences over the last few years. He firstly got his inspiration from science fiction movies, and then UFO’s, Occultism and conspiracy theories. All these inspirations were derived into this parallel universe based album. 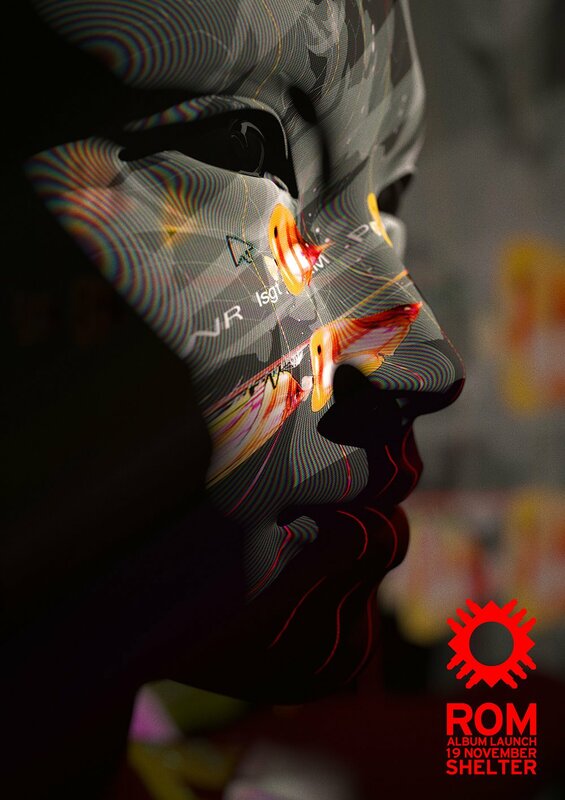 From twisted dubstep and bass, to retro 8-bit sounds and shoegaze atmosphere, as well as active funk and breakbeats, all of these are the foundation of “On The Other Side”. Achun will be performing a full live set, with support from R3, Hamacide and Drunk Monk!! This Saturday sees the 5th release on Shanghai’s PAUSE:MUSIC label, Downstate’s ‘Farewell Static’ LP. We’ve had this one repeat for a while now and its an absolute belter! Here is a little taster from the album, with a killer music video by Kim Laughton! 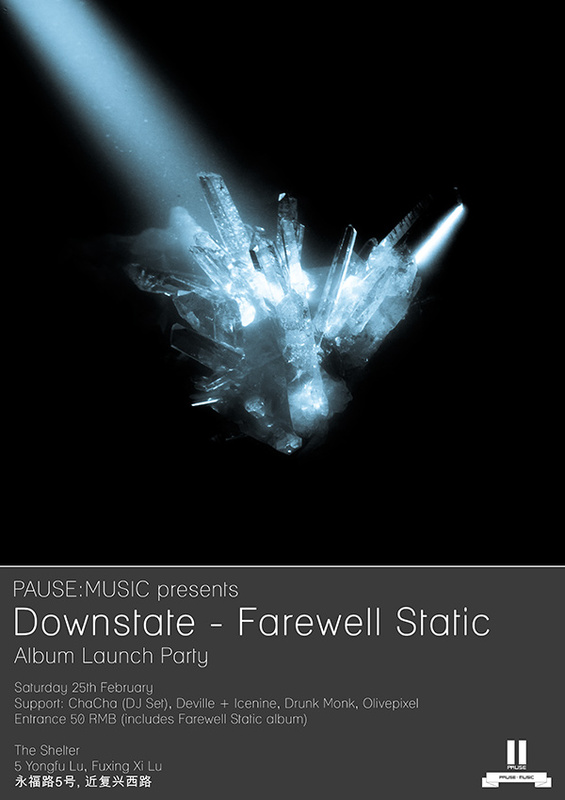 On Saturday 25th February, PAUSE:MUSIC are releasing their 4th full length release – Downstate’s ‘Farewell Static’. We’ve been looking forward to this release for a long time now (its been a while in the making) and are confident in saying its one of the best releases we have put out so far. The album artwork, by Kim Laughton, is featured in the poster above, and check out this short sampler Downstate has just put together. More info on the launch party coming soon..
AM444’s debut release is available here. Check back later in the week for more AM44 news!